Design and installation of residential and commercial swimming pools and spas. Universal Pools is the premier pool building company serving the Treasure Valley. We build custom swimming pools, outdoor kitchens, pool decks and more. Scott Pahl has been intimately involved in several hundred pool construction projects from design, construction and completion. Scott, one of the most experienced persons in the pool industry in Southwest Idaho, has been building swimming pools for well over 30 years. He has personally performed all aspects of pool construction, specializing in hydraulics and electrical designs, concrete and soils. Scott began building pools “May 1st, 1979” starting with vinyl liner pools. “Although I got my start building vinyl pools, I was also able to help on the Gunite/Shotcrete pool construction. 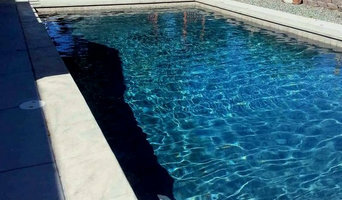 I was so amazed with the whole Gunite/Shotcrete process, I realized what I wanted to be when I grew up.” He has also installed many one piece fiberglass pools. We don't want to be Idaho's premier pool company, we want to be YOUR premier pool company! Give us a call today! 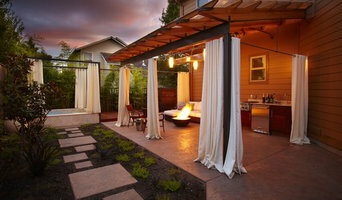 Pristine Backyards is Idaho’s premiere backyard company. Our goal is to bring your backyard dreams to life through our complete line of backyard services. We are the only company in Idaho that can design and build your entire dream backyard – from pool design and construction all the way through helping you find the perfect hammock for summertime naps under a tree. We specialize in: Pool construction and design Hot tub sales Pool and Hot Tub maintenance and service Outdoor furniture Complete outdoor kitchens including custom and stand alone BBQs Pizza Ovens Stop by our one of a kind outdoor showroom and pool park and let us help you imagine your dream backyard. We specialize in the improvement of your existing swimming pool or hot tub. We choose to concentrate on remodels and renovations in Boise and around Idaho, Wyoming and Montanna. Rocky Mountain Pools builds swimming pools, spas and ponds with innovative water features and design flair throughout Boise and the greater Southern Idaho region. Infinity Pools, LLC is based in Idaho and Utah. Our projects range from fun family backyards to breathtaking works of art. With our vast knowledge in design and construction techniques we have the ability to tackle the most challenging sites and projects. We look forward to exceeding your expectations from design through completion and beyond. Take a look at our site and call some of our customers. The quality of our workmanship and dedication to our clientele is unsurpassed. For many years now, Aquatech Pools has been doing swimming pool design, construction and renovating backyard spaces. We strive to create beautiful and comfortable spaces to spend time with family and friends or to relax on your days off. Our team works hard year round to provide great service and create long lasting customer relationships. 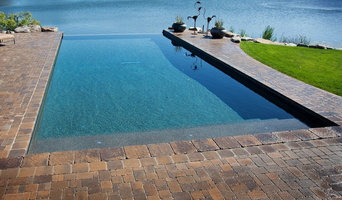 Over a decade of superior work in the pool & spa, service & construction industry throughout southern & central Idaho. Leading contractor for residential & commercial applications. In house design team can bring your ideas to life. Pools West designs and builds custom inground vinyl-lined swimming pools that combine beauty with practicality for families that want a first class looking backyard pool that almost takes care of itself and is easy on the budget. Have you been seeking a dependable, full service company capable of cutting edge design, state of the art construction techniques, and affordable support of the pool, spa, or water feature after the sale? Stop the search, Custom Pools & Patio is the pool service provider for you. Contact Us and we will get back to you to help you with all your needs. Custom Pools & Patio has been constructing award winning gunite pools in Idaho, Wyoming, Montana, Oregon and Nevada for over fifty years. They are credited with an established reputation in the pool building industry for innovative designs and individual concepts. Waters Choice specializes in all-natural enzyme treatments for pools and spas. Our products enable you to use fewer chemicals. You can find our products on our website @ www.waterschoice.com. There you will find everything you need for your hot tub or pool. At Reflections Pool & Spas we understand that finding the right Pool Remodels and Builds professional is not always easy. The smallest of Pool Remodels and Builds problems can become a big inconvenience but we are dedicated to solving these issues for you. As a Licensed, Bonded and Insured company you can trust and rely on us to do a good job the first time around and provide you with the needed support. We have been serving the Ada County area for many years now and our customers are very important to us, so we make sure they are always satisfied. Your Success is Our Success! About Us Aqua Pro Spa and Pool, Inc. is an established, family owned business and has been operating for the past 15 years serving satisfied residential & commercial customers in Sun Valley, Idaho and the surrounding communities. In 2011, we opened a service center to spread our knowledge and expertise to the Treasure Valley communities. Our staff always takes pride in our work from start to finish. We are fully bonded, insured and licensed by the IBOL, we’re proud members of the APSP, BBB and do not use any undocumented laborers. We perform full background checks on all of our repair staff and provide only trained professional people, quality workmanship, and use only top quality parts and chemicals on all projects. When looking for hot tub or pool repair Boise residents know to contact our company today to schedule and get an evaluation of their spa and/or pool to discuss the various options we offer. Our team members would welcome the opportunity to visit your home and personally discuss your spa or pool project in detail. It is our goal to deliver consistent top quality Boise spa and pool service, installations and repairs at a fair price to your satisfaction. If you are ever unhappy with us for any reason please let us know immediately! And, if you are happy with us please tell your friends. Idaho Spas in Boise offers everything from entry-level models to the most luxurious, stress-melting hot tubs available, along with a wide range of features to ensure you get a great, trouble free relaxing hot tub experience. We offer many exclusive and patented features on our spas that you can’t find anywhere else! These exclusive spa features provide our customers years of trouble free hot tub ownership. Jacuzzi Hot Tubs has earned ISO:2000 Certification. This premier rating for quality provides our customers years of energy efficient and maintenance- free spa ownership; with the most comprehensive spa warranty in the hot tub industry. Check out our hot tub review and our hot tub prices and you will understand why Idaho Spas is Cal Spas oldest hot tub dealer in the world! PoolScapes LLC is a swimming pool & outdoor living design-build firm (with an emphasis on the Design). Specializing In creating and remodeling unique residential and commercial spaces that merge form with function. We are Teamed up with only the best General Contractors & Landscape Architects to make sure that every project reaches its maximum potential with Creative solutions, and unsurpassed quality and customer service. Of course, we don’t all have the room, money or climate for our own swimming pool, but hot tub prices are usually less than swimming pools' and are a more compact, weather-enduring option, too. With Boise, ID hot tub suppliers available on Houzz, you can compare prices, photos of hot tub installations, reviews, recommendations and ratings from previous clients. How will Boise, ID hot tub and swimming pool builders install my pool/hot tub? Do you want your Boise, ID swimming pool builders or hot tub suppliers to help you with maintenance and repairs? Find swimming pool builders or specialists on Houzz. Narrow your search in the Professionals section of the website to Boise, ID swimming pool builder or hot tub supplier. You can also look through Boise, ID photos by style to find a swimming pool installation or hot tub installation you like, then contact the specialist or builder who designed it.